When you finally decide to start a blog, it can be daunting knowing where to go next. For that reason, we have created a list of what you should be thinking about doing first along with some helpful resources and tips along the way. The first step in creating a blog is to choose your preferred blogging platform, to help with that we have provided you with a bit of information on two of the most popular platforms out there. Signing up to having your blog with WordPress, whether you are going for a free subdomain, upgrading to a business plan or self-hosting, is one of the most popular choices and for good reason. WordPress gives you the freedom for choosing whether you want to have a free subdomain or more ownership and control over the blog as well as branding. WordPress is one of the easiest to use blogging platforms and within a short period of time you will have the hang of using it. 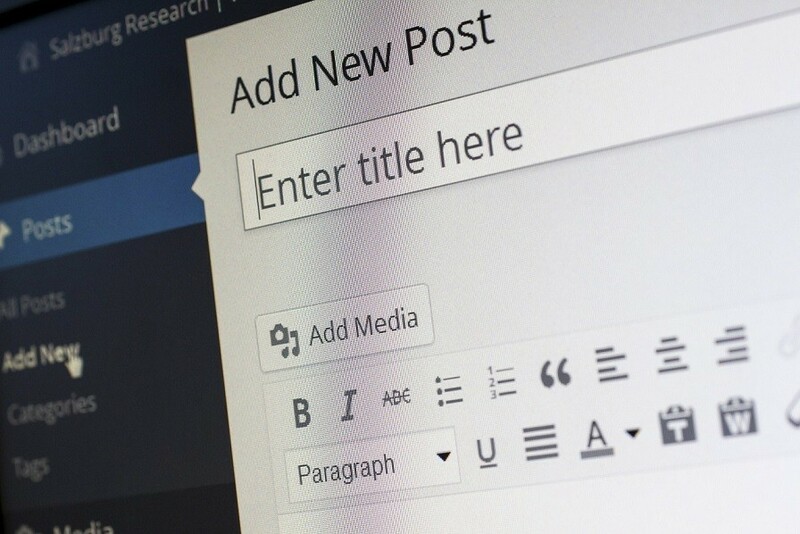 WordPress allows you to customize your own theme and includes many tools to make your content look nicer. Secondly, there is Blogspot. If you choose to go with Blogspot over any others then you will be getting a great platform. Before you can get a blog with these you will first need to have a Gmail account as it is owned by Google. Once again, just like WordPress, you have the freedom to choose whether you want a free subdomain or upgrade to a premium account. When it comes to blogging, you will need all the help you can get from a range of resources who are there to make your life much easier. We have outlined below some of the best resources you will find when it comes to creating better content. Buzzfeed is a well-known and popular website that publishes social and entertainment news daily, however it is also great for new bloggers who are just setting out. Buzzfeed are always publishing new articles that outline everything you need to know when creating a blog for the first time, how to write the best you can and how to advertise your blog. Whatever topic you need to read about, Buzzfeed is sure to have discussed it before. Buzzfeed is also great for collaborating with bloggers and are always on the lookout for contributors which is great for those who are looking to gain some further experience under their belt. BuzzSumo is a great online tool that allows you to search and find out what content is currently popular. It helps you to find out what topics and content people are wanting to read about at the moment, helping you to create content people will read by doing all the hard work for you. Guides.co is a free to use website that gives you access to content as well as joining a community of writers. It allows you to organise and share with groups or the public while creating channels for your different topics. You can also subscribe to other channels to read new content. RoomJoom is a great tool for arranging and sharing multiple links at the time without having to open up 10+ different tabs while trying to hop between them all. RoomJoom saves you that effort and time by doing it for you. Blog Starter is a great site for offering advice and tips on how to set up your first blog. They publish articles and guide you through all the first steps through to making money out of your blog. If you are serious about blogging, then you should be spending your time and money on promotion. This will help get your blog and content seen by your target audience. When it comes to blogging, you should never underestimate the power of having connections. For that reason, you should get yourself on Twitter and build up relationships with other bloggers out there as well as using it to promote your content.